The First Lady of Georgia announced at a breakfast event at the AIDS 2010 conference today that Goergia would sign the Vienna Declaration, the first country to do so. It is the official declaration of the XVIII International AIDS Conference (AIDS 2010). "The criminalisation of illicit drug users is fuelling the HIV epidemic and has resulted in overwhelmingly negative health and social consequences. A full policy reorientation is needed." This is a significant step forward for this important initiative and is likely to herald a series of national endorsements, at the very least challenging other states to sign or explain why they are oppposed to evidence based drug policy. In stark contrast Canada has been the first country to specifically reject an invitation to sign the declaration - attracting vocal criticism and protest at the Vienna AIDS conference. 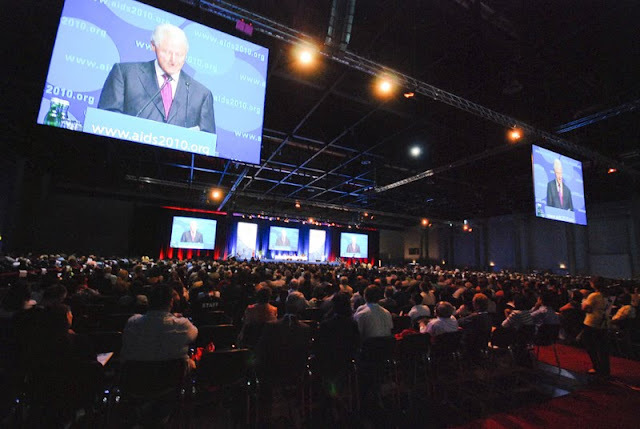 In related news a special edition of the Lancet on HIV and drugs was launched at AIDS 2010 yesterday, its cover stating that "We want to see aggressive, state sponsored hostility to drug users replaced by enlightened, scientifically driven attitudes and more eqitable societal responses". 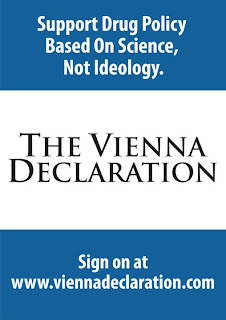 The Lancet includes and endorses the Vienna declaration. A video of the impressive conference session (below) at which the special edition was presented is available below (details here). It is particularly worth viewing the presentations that bookend the session, by the Lancet editor Richard Horton, and Prof Chris Beyrer (Johns Hopkins - Baltimore) - both making unambiguous calls for the decriminalisation of drug users. "We know harm reduction works"
The British Medical Journal this week publishes a special edition on drug titled: 'Drug users and HIV: treat don't punish'. the cover feature includes a special commentary section on drugs, HIV/AIDS and harm reduction to coincide with the huge AIDS 2010 conference in Vienna that kicks off this Sunday (see this blog for details and Transform's involvement in the Global Village's Drug Policy Networking Zone). 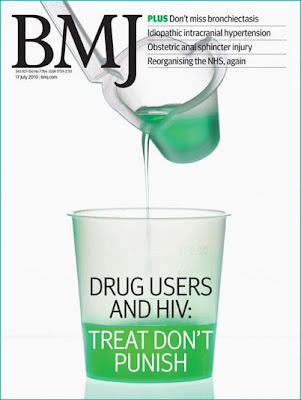 The special edition of the BMJ features five commissioned commentaries, including; 'Alternatives to the war on drugs' by Transform's Steve Rolles, one of the first detailed explorations in a mainsteam medical journal of legal regulatory models as alternatives to existing unregulated criminal drug markets, specifically from a public health perspective. The full text (also available on the BMJ site here, with rapid responses here) is copied below as it appears online. The issue also includes Professor Tim Rhodes, Anya Sarang, Peter Vickerman, and Professor Matthew Hickman, on ‘Policy resistance to harm reduction for drug users and potential effect of change’; Richard Hurley on ‘How Ukraine is tackling Europe’s worst HIV epidemic’ and an editorial on ‘Evidence based policy for illicit drugs’ by Prof Evan Wood (who was on BBC R4's Today program this Friday discussing these issues and talking about the Vienna Declaration). These are all now available in full online. "In a beautifully argued essay Stephen Rolles calls on us to envisage an alternative to the hopelessly failed war on drugs. He says, and I agree, that we must regulate drug use, not criminalise it." Also of note is that two other leading journals, the Lancet and Science, are running special editions on drugs and harm reduction this week. 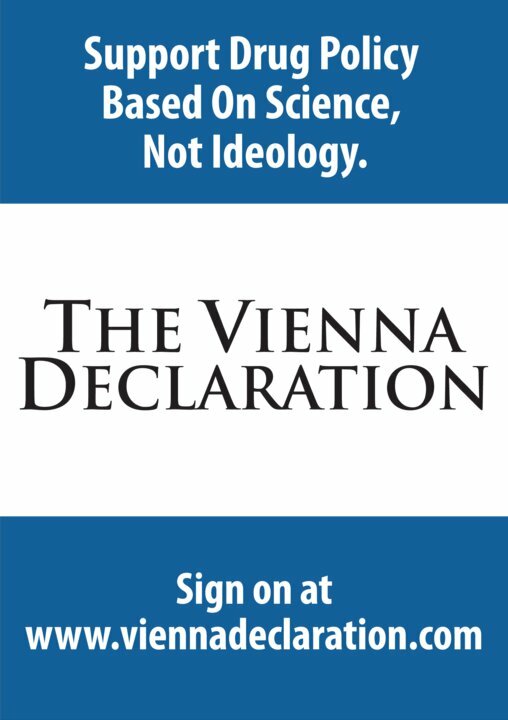 The Lancet is due to lead with the publication of the Vienna Declaration calling for science based drug policy and the decriminalisation of drug use. 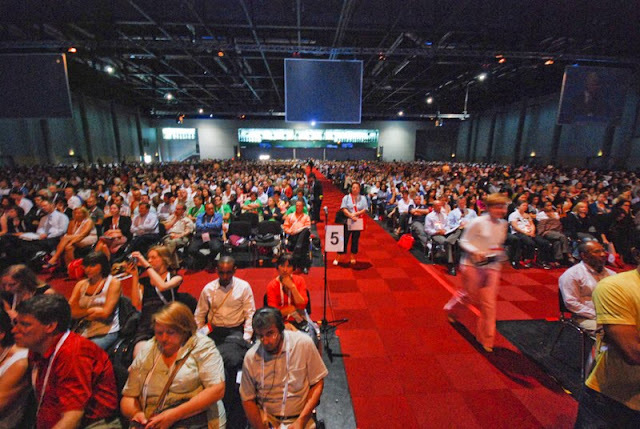 It is the declaration being adopted by the AIDS 2010 conference and supported by a growing list of public figures from political and scientific establishments. The BMJ has also produced this excellent short film (below) by Martin Freeth, titled 'HIV shoots up', to go with its special edition. It features Alex Stevens, Tim Rhodes, Gerry Stimson, Steve Rolles and Elzabeth Pisani. These conclusions have been reached by a succession of committees and reports including, in the United Kingdom alone, the Police Foundation,5 the Home Affairs Select Committee,6 The prime minister’s Strategy Unit,7 the Royal Society of Arts,8 and the UK Drug Policy Consortium.9 The United Nations Office of Drugs and Crime has also acknowledged the many "unintended negative consequences" of drug enforcement,10 increasingly shifting its public rhetoric away from its former aspirational goals of a "drug free world," towards "containment" of the problem at current levels. Despite this emerging consensus on the nature of the problem, the debate about how policy can evolve to respond to it remains driven more by populist politics and tabloid headlines than by rational analysis or public health principles. The criminalisation of drugs has, historically, been presented as an emergency response to an imminent threat rather than an evidence based health or social policy intervention.11 Prohibitionist rhetoric frames drugs as menacing not just to health but also to our children, national security, and the moral fabric of society itself. The prohibition model is positioned as a response to such threats,12 13 and is often misappropriated into populist political narratives such as "crackdowns" on crime, immigration, and, more recently, the war on terror. This conceptualisation has resulted in the punitive enforcement of drug policy becoming largely immune from meaningful scrutiny.14 A curiously self justifying logic now prevails in which the harms of prohibition—such as drug related organised crime and deaths from contaminated heroin—are conflated with the harms of drug use. These policy related harms then bolster the apparent menace of drugs and justify the continuation, or intensification, of prohibition. This has helped create a high level policy environment that routinely ignores or actively suppresses critical scientific engagement and is uniquely divorced from most public health and social policy norms, such as evaluation of interventions using established indicators of health and wellbeing. Although these emerging policy trends are important, they can be seen primarily as symptomatic responses to mitigate the harms created by the prohibitionist policy environment. Neither directly tackles the public health or wider social harms created or exacerbated by the illegal production and supply of drugs. The logic of both, however, ultimately leads us to confront the inevitable choice: non-medical drug markets can remain in the hands of unregulated criminal profiteers or they can be controlled and regulated by appropriate government authorities. There is no third option under which drugs do not exist. The choice needs to be based on an evaluation of which option will deliver the best outcomes in terms of minimising the harms, both domestic and international, associated with drug production, supply, and use. This does not preclude reducing demand as a legitimate long term policy goal, rather it accepts that policy must also deal with the reality of current high levels of demand. A historical stumbling block in this debate has been that the eloquent and detailed critiques of the drug war have not been matched by a vision for its replacement. Unless a credible public health led model of drug market regulation is proposed, myths and misrepresentations will inevitably fill the void. So what would such a model look like? Transform’s blueprint for regulation22 attempts to answer this question by offering different options for controls over products (dose, preparation, price, and packaging), vendors (licensing, vetting and training requirements, marketing and promotions), outlets (location, outlet density, appearance), who has access (age controls, licensed buyers, club membership schemes), and where and when drugs can be consumed. It then explores options for different drugs in different populations and suggests the regulatory models that may deliver the best outcomes (box). Lessons are drawn from successes and failings with alcohol and tobacco regulation in the UK and beyond, as well as controls over medicinal drugs and other risky products and activities that are regulated by government. Unlicensed sales—minimal regulation for the least risky products, such as caffeine drinks and coca tea. Such a risk guided regulatory approach is the norm for almost all other arenas of public policy, and in this respect it is prohibition, not regulation, that can be viewed as the anomalous and radical policy option. Moves towards legal regulation of drug markets depend on negotiating the substantial institutional and political obstacles presented by the international drug control system (the UN drug conventions). They would also need to be phased in cautiously over several years, with close evaluation and monitoring of effects and any unintended negative consequences. Rather than a universal model, a flexible range of regulatory tools would be available with the more restrictive controls used for more risky products and less restrictive controls for lower risk products. Such differential application of regulatory controls could additionally help create a risk-availability gradient. This holds the potential to not only reduce harms associated with illicit supply and current patterns of consumption but, in the longer term, to progressively encourage use of safer products, behaviours, and environments. Understanding of such processes is emerging from "route transition" interventions aimed at encouraging injecting users to move to lower risk non-injecting modes of administration by, for example, providing foil for smoking.23 This process is the opposite of what has happened under prohibition, where a profit driven dynamic has tended to tilt the market towards ever more potent (but profitable) drugs and drug preparations, as well as encouraging riskier behaviours in high risk environments. The oversight and enforcement of new regulations would largely fall within the remit of existing public health, regulatory, and enforcement agencies. Activities that take place outside the regulatory framework would naturally remain prohibited and subject to civil or criminal sanctions. Regulation is no silver bullet. In the short term it can only seek to reduce the problems that stem from prohibition and the illicit trade it has created. It cannot tackle the underlying drivers of problematic drug use such as inequality and social deprivation. But by promoting a more pragmatic public health model and freeing up resources for evidence based social policy and public health based interventions it would create a more conducive environment for doing so. The costs of developing and implementing a new regulatory infrastructure would represent only a fraction of the ever increasing resources currently directed into efforts to control supply. There would also be potential for translating a proportion of existing criminal profits into legitimate tax revenue. Different social environments will require different approaches in response to the specific challenges they face. Transform’s blueprint does not seek to provide all the answers but to move the debate beyond whether we should end the war on drugs to what the world could look like after the war on drugs. It is a debate that the medical and public health sectors have failed to engage with for far too long. Contributors and sources: SR is the author of After the War on Drugs: Blueprint for Regulation. The book is published by Transform Drug Policy Foundation, which actively campaigns for drug policy and law reform, and is available free online (www.tdpf.org.uk/Transform_Drugs_Blueprint.pdf). Competing interests: The author has completed the unified competing interest form at www.icmje.org/coi_disclosure.pdf (available on request from him) and declares (1) the writing and production of SR’s book, including a contribution to his salary, were funded by the J Paul Getty Jr Charitable Trust and the Glass House Trust; (2) no financial relationships with commercial entities that might have an interest in the submitted work; (3) no spouses, partners, or children with relationships with commercial entities that might have an interest in the submitted work; and (4) no non-financial interests that may be relevant to the submitted work. Cole C, Jones L, McVeigh J, Kicman A, Qutub Syed Q, Bellis M. A guide to the adulterants, bulking agents and other contaminants found in illicit drugs. Centre for Public Health, John Moores University, 2010. Werb D, Rowell G, Kerr T, Guyatt G, Montaner J, Wood E. Effect of drug law enforcement on drug-related violence: evidence from a scientific review. International Centre for Science in Drug Policy, 2010. Felbab-Brown V. Shooting up: counter-insurgency and the war on drugs. Brookings Institution Press, 2009. Barrett D, Lines L, Schleifer R, Elliot R, Bewley-Taylor D. Recalibrating the regime. Beckley Foundation. 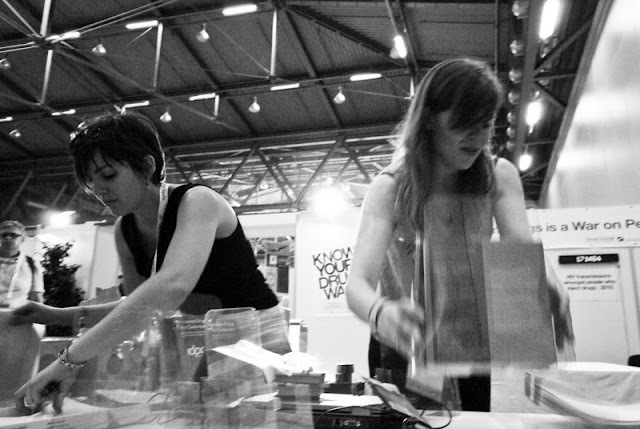 International Harm Reduction Association, 2008. Police Foundation. Drugs and the law: report of the independent inquiry into the Misuse of Drugs Act 1971. Police Foundation, 1999. Home Affairs Select Committee. The government’s drugs policy: is it working? Stationery Office, 2002. Prime Minister’s Strategy Unit. Strategy Unit drugs report. 2003. www.cabinetoffice.gov.uk/media/cabinetoffice/strategy/assets/drugs_report.pdf..
Royal Society of Arts Commission on Illegal Drugs, Communities and Public Policy. Drugs—facing facts. RSA, 2007. Reuter P, Stevens A. An analysis of UK drug policy. UK Drug Policy Commission, 2007. Costa A. Making drug control "fit for purpose": Building on the UNGASS decade. UN Office on Drugs and Crime, 2008. United Nations. United Nations convention against illicit traffic in narcotic drugs and psychotropic substances. 1988. www.unodc.org/pdf/convention_1988_en.pdf. Brown G. Prime minister’s questions. Hansard 2010 Mar 24. www.publications.parliament.uk/pa/cm200910/cmhansrd/cm100324/debtext/100324-0003.htm#10032434000735. Committee on Data and Research for Policy on Illegal Drugs. Informing America’s policy on illegal drugs: what we don’t know keeps hurting us. National Research Council, National Academy Press, 2001.
International Harm Reduction Association. What is harm reduction? A position statement. 2010. www.ihra.net/Whatisharmreduction. Cook C, ed. The global state of harm reduction 2010: key issues for broadening the response. www.ihra.net/Assets/2522/1/GlobalState2010_Web.pdf. European Monitoring Centre for Drugs and Drug Addiction. Illicit drug use in the EU: legislative approaches. EU, 2005. Blickman T, Jelsma M. Drug policy reform in practice. Transnational Institute, 2009. Room R, Hall W, Reuter P, Fischer B, Lenton S. Global cannabis commission report. Beckley Foundation, 2009. Hughes C, Stevens A . What can we learn from the Portuguese decriminalisation of illicit drugs?. Br J Criminology (forthcoming). Rolles S. After the war on drugs: blueprint for regulation. Transform Drug Policy Foundation, 2009. www.tdpf.org.uk/Transform_Drugs_Blueprint.pdf. 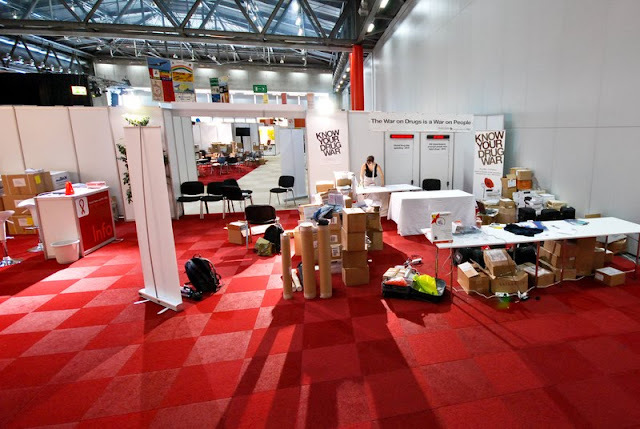 Transform Drug Policy Foundation and the International Drug Policy Consortium are co-orgainising and hosting the Drug Policy Networking Zone at the XVIII International AIDS Conference in Vienna, Austria, from 17 to 23 July 2010. You can download the networking zone flyer and event schedule here(pdf). 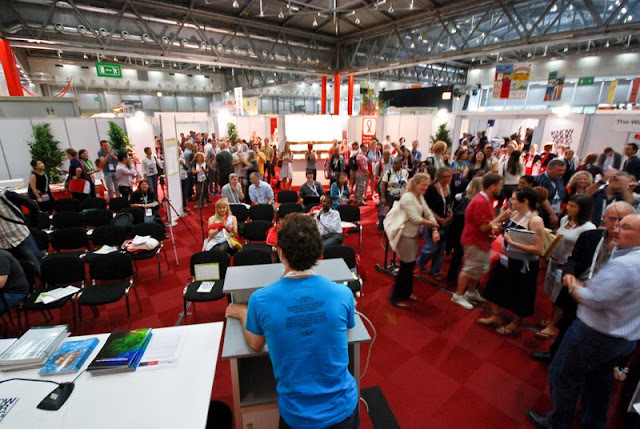 The International AIDS Conference is the worlds premier gathering for those working in the field of HIV, policy makers, persons living with HIV and other individuals committed to ending the pandemic. 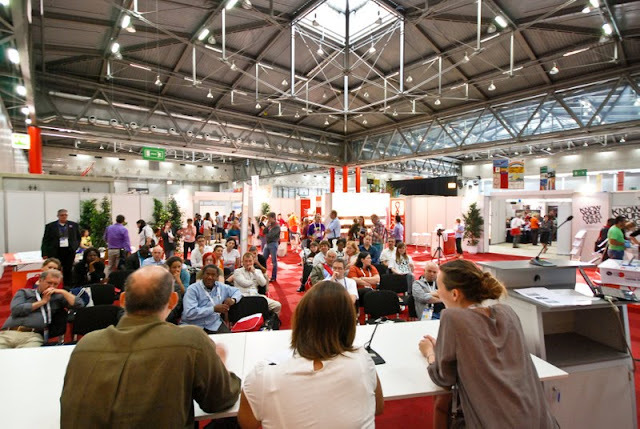 There will be over 25,000 delegates at the main conference, and the Global Village is additionally open to the public. It is now clear that stigma, discrimination and human rights violations, as well as punitive or misguided policies towards key populations most affected by HIV, are major obstacles to an effective response to HIV. Given the 2010 deadline for universal access set by world leaders, AIDS 2010 will coincide with a major push for expanded access to HIV prevention, treatment, care and support. With a global economic crisis threatening to undermine public investments, the conference will help keep HIV on the front burner, and will be a chance to demonstrate the importance of continued HIV investments to broader health and development goals. In this context, the protection of human rights is a fundamental prerequisite to an effective response to HIV. This year's conference has a special focus on drug policy reform with the launch and pormotion of the Vienna Declaration being one its primary aims. 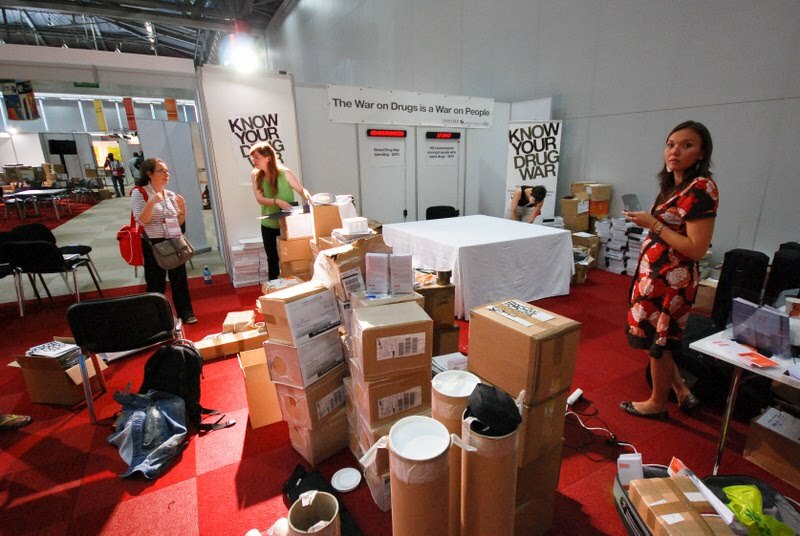 The Drug Policy Networking Zone, located in the Global Village, is a space for sharing ideas, experiences and expertise on drug policy reform. It is also a place to forge new links and develop strategic thinking. We’ve joined forces with the Harm Reduction and Human Rights Networking Zones to produce a ‘mega’ zone with a full schedule of talks, discussions, debates and multimedia running throughout the week. Click here to find out more about the full programme of events that will be taking place in the ‘mega’ zone. There is an opening reception of the Drug Policy, Harm Reduction and Human Rights networking zones on Sunday 18th July, 16:00-18:00. All welcome. We will be holding a press briefing in the Drug Policy Networking Zone from 15:30-16:00 on Sunday 18th July. 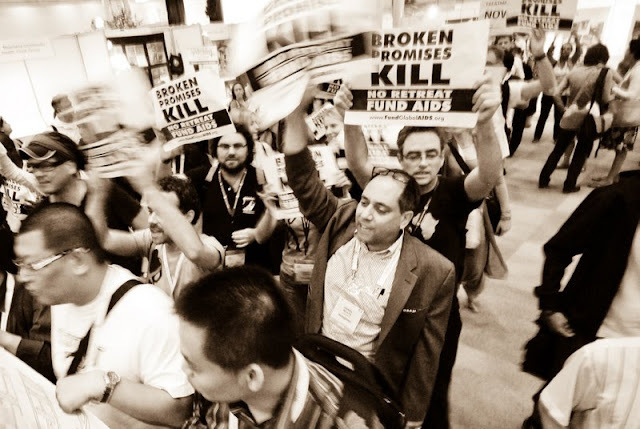 What can the drug policy reform movement learn from HIV/AIDS activism? Civil society actors within the HIV movement have a much stronger presence and a louder voice within drug policy debates than civil society within drug policy reform. This session aims to discuss and debate the essential features of AIDS activism that could inform drug policy activism. 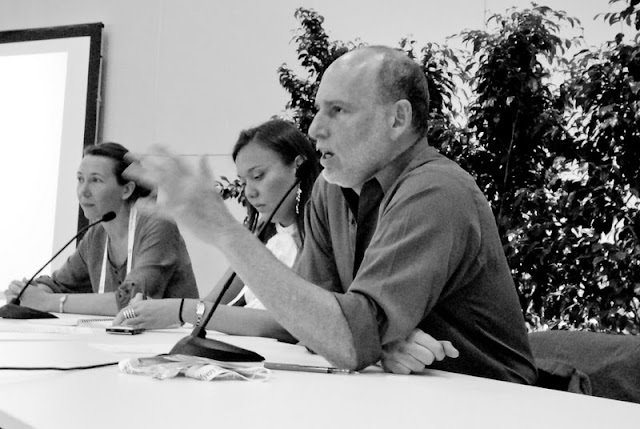 ”Beyond a declaration”, how can we continue to move towards drug policy reform? The Vienna Declaration is a global call for science-based drug policy and is the official declaration of AIDS 2010. The session will feature one of the declaration’s key authors, Evan Wood, from the International Centre for Science in Drug Policy, Steve Rolles from Transform and Kasia Malinowska-Sempruch from OSI. Policies that act as a barrier to drugs services can increase the health risk for injecting drug users putting them at greater exposure to blood-borne infections, including HIV. The panel will look at how lobbying, campaigning and legal challenges against such policies and interventions can lead to law reforms that ultimately provide greater protection to IDUs and enable them to access drug treatment and harm reduction services without fear of being punished. We welcome volunteers to help us with the organisation and staffing of our zone in the Global Village. Please contact Marie at mnougier@idpc.net if interested. For those attending - we look forward to seeing you in Vienna! For those not attending the conference you can follow the weeks activities on the blog and twitter. The following press release was issued today by the campaigning group Liberal Democrats for Drug Policy Reform. The blog will explore its fascinating findings in more detail at a later stage. For more information on drug policy and public opinion see Transform's (soon to updated) 2004 briefing Attitudes to Drug Policy and Drug Laws: A review of the international evidence. 70% support for cannabis legalisation/regulation, with 1 in 3 of those polled feeling that it should be sold in a similar way to alcohol and tobacco. More people supporting legalisation/regulation than prohibition for 3 other drugs: Magic Mushrooms (52% to 34%), Amphetamines (49% to 40%), and the recently banned “legal high” Mephedrone (41% to 39%). 39% support for the legal regulation of ecstasy sales, 36% support for regulation of cocaine, and 30% of respondents supported the legal regulation of heroin. For alcohol and tobacco over 1 in 4 respondents supported strict government control and regulation and 8% expressed a desire for tobacco to be prohibited. "It is important that people understand that ‘legalisation’ is a process not a policy endpoint – and is one that can lead to strict government regulation of markets. It does not imply an unregulated commercial free for all that many may imagine if no other options are outlined. If anything an unregulated free for all is what we have under prohibition. The important lesson for politicians is that they don’t need to be afraid of public opinion on this issue if it is presented in the more practical terms of market regulation"
From July 7 to July 9, 2010, Vision Critical conducted an online survey among 2,000 randomly selected British adults who are Springboard UK panelists. The results have been statistically weighted according to the most current age, gender, social class, region and newspaper readership data to ensure samples representative of the entire adult population of Great Britain. Who is Yuri V. Fedotov? Whilst the UNODC appointment is nominally independent of National Government (even though nominations are made by National Governments) Fedotov is a 40-year career Russian diplomat – so we should probably not be under any illusions about his independence or loyalties. “According to WHO and UNAIDS, Russia has one of the world's most serious injection drug-use epidemics, which in turn is fuelling an explosion in HIV/AIDS incidence. Research by HIV/AIDS monitors in Russia estimate that there are up to 2 million injecting drug users in Russia, 60—70% of whom have HIV-related illnesses. Up to two-thirds of new HIV cases in Russia are linked with injected drug use, and according to UNAIDS there are an estimated 1 million people with HIV in Russia. HIV prevalence in Russia has doubled since 2001. “Despite the country’s abysmal record on HIV prevention and injecting drug use, Russia believes it should teach the rest of the word lessons on drug policy. At the Commission on Narcotic Drugs (CND), Russia has consistently attempted to block any political progress on harm reduction for HIV prevention relating to injecting drug use. At the 2010 CND session the Russian delegation refused to acknowledge previous resolutions adopted by consensus at the Human Rights Council and ECOSOC and a decision of the UNAIDS PCB on the issue. At the International Narcotics Control Board (INCB), the recently deceased Russian delegate Tatyana Dmitrieva has parroted the misstatements of fact made by the Russian government, and ―despite a requirement for independence― joined Russian government officials in public denouncements of methadone notwithstanding the obligation under international law to ensure adequate supply of licit controlled substances for treatment purposes. Update 15.07.10 : please view this new video produced by the BMJ - which graphically illustrates some of the problems here. See also this collection of articles in the newly published BMJ special edition to coincide with the up coming AIDS 2010 conference in Vienna. “With regard to production and trafficking, Russia has recently been pressing hard for NATO intervention in Afghanistan against suspected drug traffickers, and for the forced aerial eradication of opium poppy. Both are disastrous policies intended to divert attention from Russia’s drug problems at home. They are utterly at odds with the UN’s commitment to a ‘balanced approach’ to supply and demand reduction as well as being contrary to human rights standards. For more discussion on the human rights issues raise by this apointment take a look at the comment piece by Damon Barrett (from IHRA) that ran on the Gurdian's CiF blogs last week (New UN drugs tsar must be a leader on human rights), and also Damon on Australia's ABC The World Today radio show. So why – given Russia’s shocking record on harm reduction - has a Russian diplomat been appointed to a job with the lead UN role on harm reduction? It seems hard to fathom why Ban Ki Moon would have made this appointment. It seems about as sensible as putting a North Korean diplomat in charge of press freedom. Unfortunately the appointment process is almost entirely opaque so we can only speculate. Since rumours of Fedotov’s potential appointment (over other front runners including nominations from Canada and Brazil) began to circulate a few weeks back significant efforts have been made by various groups across the world to highlight the obvious concerns (backed by Harm Reducation and HIV/AIDS NGO activity, and a nascent grass roots social media campaign - see this HCLU video for example). These have clearly either been ignored or outgunned by other pressures. Russia have never been a major funder of the UNODC either (but then nor have Italy who have dominated the ED role for decades) – so there is no suggestion that they have bought their way into the role. Such appointments are evidently made following endless behind the scenes diplomatic horse trading of one sort or another. One suspects that with Russia being such a big player in global politics and the UN, they were ‘due’ a big posting or two, and the UNODC just drew the short straw. Maybe other unrelated pressures were brought to bear. Ban Ki Moon may have had reservations (other big hitters within the UN certainly will have done) but been able to do very little about it. At this stage of course it’s simply impossible to know. 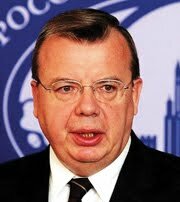 However, it seems unlikely that Fedotov could seriously promote a hard line Russian approach within the UNODC, at least not publicly. Not only would this run counter to the direction of travel in the agency over the last few years (and the views of most UNODC staff), but it would be a direct challenge to the many member states active within the UN who have adopted pragmatic harm reduction positions. Just as seriously would be the impossible situation that such a move would create for UNODC relations with UNAIDS, the WHO and the many other UN agencies that directly and vocally support harm reduction. 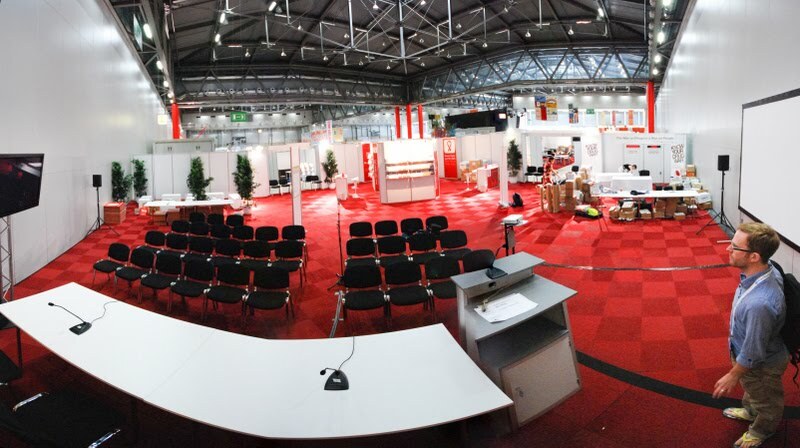 Expect to hear a lot more about all this from this month’s huge international AIDS conference in Vienna (a key action of which is the Vienna Declaration). So trying to find some positives here, there may be a possibility that the appointment will actually expose Russia to greater scrutiny and thus ultimately help drag them out of the dark ages. But a moderately progressed Russian drug policy would still seem hopelessly backwards to much of the rest of the world. Despite some of the issues around the previous Executive Director Antonio Costa, he has (albeit interspersed with often bizarrely rude outbursts and ill judged rants) made some significant statements on issues including the priority of public health, the importance of harm reduction, the unacceptability of the death penalty for drug offences, the futility of eradication, the centrality of human rights to drug policy, and the negative consequences of supply side enforcement (click for a Transform blog retrospective). Even if no more progress is made (and there is certainly a long way to go) it is hard to see how these positive steps – all on the record - can be undone, or somehow be renounced by the new ED on behalf of the UNODC. More likely is that the Russian influence will be subtle but corrosive. Progress made – much of it through the heroic efforts of the NGO community (IHRA’s HR2 program and the IDPC for example) – could now stall, important ongoing developments will be kicked into the long grass, and discussions on future developments that might have taken place, will now not happen. This would have serious consequences for the development of harm reduction in some of the places where it most urgently needed (not least Russia), but also impact on emerging developments such as embedding of human rights monitoring and assessment into all UNODC programs. If the situation on key issues such as human rights and harm reduction does begin to seriously deteriorate then the UNODC could come under intense strain. Key UNODC funders (not least the UK) could come under pressure to withdraw or suspend funding. More seriously, the tensions (between hard line and more progressive harm reduction states) that were evident at the 2008 Commission on Narcotic Drugs during the drafting of the Political declaration (specifically around the inclusion of the words 'harm reduction') could become more acute. These simmering tensions could easily erupt into a full blown crisis, with the reform states coalescing around a breakaway reform agenda that could threaten the whole UN drug control infrastructure. At the very least such a crisis could render the UNODC, INCB, CND and the conventions they stand behind increasingly redundant and irrelevant – with the unquestionably useful elements of the system suffering along with the outdated and counterproductive. Perhaps such a crisis is what is needed in the longer term, with a more rational flexible international drug control infrastructure, one fit for the challenges of the new century, emerging from the ashes of the tired broken old one we have now. Perhaps. But for now this seems like a huge backward step for both the UN drug control agencies and indeed the UN as a whole. There are many reasons to support government regulation of currently illegal drugs, amongst these are the arguments focusing on the personal rights and freedoms of drug users. Whilst Transform naturally supports the decriminalisation of consenting adult use (our position on these issues detailed in various publications - including 'Tools for the debate' and our 'drug use and civil rights' briefing) the personal rights arguments are not an area we have historically put significant campaigning resources behind, primarily because other lines of argument - concerning impacts on public health and criminal justice indicators for example - have greater public and political traction. Stossel went on to produce an unprecedented 45 minute critique of the drug war for the channel - including a clear call for legalisation/regulation. The video even provoked Fox News' high profile commentator Bill O'Reilly into one of his characteristic Fox News hit pieces, ultimately landing DPA director Ethan Nadlemann on the O'Reilly Factor (he does pretty well). The rights of the drug user have long been debated, with John Stuart Mill’s principles often cited: that consenting adults should be free to engage in whatever behaviour they wish as long as it does not harm others, and that acting to prevent the individual from harming themselves is not legitimate. In drug policy debates this is often portrayed as a libertarian position, but viewed more broadly this principle applies to the law with regard to almost all consenting adult risk taking behaviours from freedom over what we eat, what medicines we take, how we consume legal drugs, through to our sexual habits, dangerous sports or other high risk activities, and self harm up to and including suicide - decriminalized in the UK in 1961. So drug laws that criminalize personal use are at odds with the law as it applies to comparable personal choices regarding sovereignty over ones body and freedoms regarding individual risk taking decisions. Adult consenting drug use clearly comes within the Mala prohibitum sphere, demonstrated by the differences in legal status of drugs (e.g. alcohol and cannabis), the changing legal status of certain drugs (e.g. US alcohol laws), the contrasting drug laws in different states (e.g. cannabis laws in the Netherlands and its neighbours), and the ongoing debate over the criminality of adult consenting use. It is important to note calls to remove the criminality from adult consenting drug use in no way implies support for or justification of Mala in se crimes, such as violence, committed under the influence of drugs, legal or otherwise. The maturation of the young: the freedom itself adheres to the mature adult (subject to agreement on age of consent). There is a widespread consensus that the deployment of state resources is fully justified, both by way of positive education and supply constraints, to inhibit the consumption of psychoactive substances by the young. Criminal law enforcement: The accommodation of psychoactive substances has long been a feature of criminal justice. For example, it is settled law that intoxication cannot be used as a defense, where other breaches of the law are alleged. It must also be evident that the administration of psychoactive substances without consent is and should remain a serious trespass to the person. Finally, difficult judgments have to be made where the consumption of psychoactive substances coincides with the presence of any underlying mental condition. These examples, properly understood, all affirm the principle of individual freedom, and reflect its proper reconciliation with other legitimate societal interests. Constraint upon social interaction: There are examples of circumstances where drug consumption may properly be constrained by law, eg where the consumption is in public or otherwise obtrusive to others, or where (even if in private) the consumption forms part of a wider pattern of collective behavior with adverse consequences. It is for each society, in each age, to define the principles of intervention where others, who may be considered ‘at risk’, are involved. The principle is difficult to apply, and several applications have been contentious Nevertheless, although particular examples may be controversial, the principle of legitimate state intervention is not refuted. Public health: There are clearly circumstances where overriding considerations of public health justify state intervention and the abridgement of individual rights – the concept of public health based regulation under which some activities and/or products may remain prohibited and subject to legal sanction. These are well developed and widely understood in the context of the thousands of legal drugs (and other dangerous products, services and activities). It is right that society should at all times ensure that risks to consumers of substantial harm should be avoided.